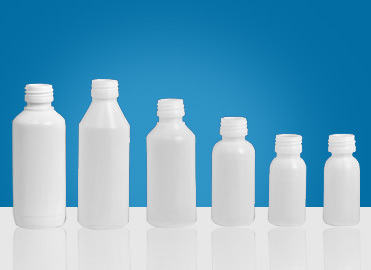 In keeping with the latest trend in the Pharma packing, Prime has also developed Plastic HDPE bottles for packing DRY-Syrups. The unique aspect of PRIME dry-syrup bottles are that the neck of the bottle is made to suit 25 mm caps instead of conventional 28 mm. This is cost effective and also have an attractive look due to curve near the neck. The neck is designed to fit both ROPP(Aluminium) caps and also plastic secure caps. PRIME have the following range in DRY Syrup bottles.